In considering the restoration of all things, we need first of all to focus on having our own relationship with God fully restored. Restoration is personal. It is about restoring our spirit, soul and body to God’s original intention, desired condition and full functionality. It is about our spirit’s eternal identity being restored. It is about having everything within the soul – mind, emotions, will, conscience, imagination, reason and choice – restored to innocence; all brokenness, fragmentation, separation, isolation, and rejection done away with and healed. It is about having our body restored to health and wholeness, right down to DNA level. It is about recovering our ‘supernatural’ abilities (which we only regard as supernatural because we have mostly lost the ability to manifest them naturally). In all this we will see our eternal destiny restored, together with all its identity, purpose, position and authority. “…that the creation itself also will be set free from its slavery to corruption into the freedom of the glory of the children of God” (Rom 8:21). God wants us to reconnect to what ‘the glory’ really means and to re-engage with it so that creation will be set free. If we do not come into that glory, then creation cannot be set free. The glory is really the weight of the essence or nature of something; in this case, the weight of the essence of our sonship. Adam was clothed with glory and we will be transfigured to that state again. Jesus was transfigured to show us what that would look like. Jesus reveals that we pre-existed in God; he defines us. He justified us and also glorified us. He redeemed our innocence and restored the glory we lost in Adam. All these things point to one conclusion, God is for us! Who can prevail against us? (Rom 8:30-31 Mirror). That is what Jesus has done, but are we living in that reality? Are we experiencing the fullness of the glory we should have as God’s children or is that glory veiled by the way we live our lives? If we have limiting beliefs which inform our vision and choices, if we see ourselves as less than God sees us, then we will not be radiating that glory. The more we engage with metanoia1 and see ourselves as God sees us, the more we will shine with that glory. Once we begin to experience that, we will also be able to function in the knowledge of our authority as overcomers. You made him (man) a little lower than God and crowned him (or clothed him) with glory and honour (Psalm 8:5). God made man to be that way. The original Hebrew word translated crowned means to encircle, to surround. In other words, Adam and Eve were surrounded by glory and honour. They shone with the glory of who God created them to be and creation honoured them for their position as sons. God gave them a wonderful environment to rule, in which He would truly be their provision and protection within that intimate relationship. Because they had been clothed with glory they did not need any further clothing, as we do today; because they were living in an atmosphere of perfect relationship they did not need to gain knowledge or figure things out for themselves. They did not need to rely on their own understanding because they could draw on God’s understanding. Everything came through their relationship with God. Man’s fall was a fall from a position of glory. The gospel is the good news that the Father sent Jesus to restore our glory and so begin creation’s restoration. Jesus proved God’s love for all His creation (‘God so loved the world’ is not restricted to just people!) by choosing to die – for us, as us and in our place – to reconcile our relationship and to restore it to what it was in the Garden of Eden and beyond that, to what it would have become. Just as we respond when we look at God’s glory, so creation will respond when it sees ours. Now all these things are from God, who reconciled us to Himself through Christ and gave us the ministry of reconciliation, namely, that God was in Christ reconciling the world (cosmos) to Himself, not counting their trespasses against them, and He has committed to us the word of reconciliation. Therefore, we are ambassadors for Christ, as though God were making an appeal through us; we beg you on behalf of Christ, be reconciled to God (2 Cor 5:18-20). God was in Christ when He reconciled the world (the Greek word is kosmos), not forsaking Him, separated from Him or turning His face away, as we have been taught. Paul says that God has already reconciled mankind, not counting their trespasses against them. That much is a done deal. God has reconciled Himself to us, but only we can choose to be reconciled to Him. If anything or anyone is still separated from Him, it is not of His doing. We are to serve creation by exercising that ministry of reconciliation, so that everything gets restored. We will carry the ‘word of reconciliation’ in the very foundation of our being and it will transform our entire being from the inside out. That is how we can be ambassadors, representing God’s kingdom and authority among the whole created order. …but whenever a person turns to the Lord, the veil is taken away. Now the Lord is the Spirit, and where the Spirit of the Lord is, there is liberty. But we all, with unveiled face, beholding as in a mirror the glory of the Lord, are being transformed into the same image from glory to glory, just as from the Lord, the Spirit (2 Cor 3:16-18). The original purpose and intention of God for each of us, what He created us to be and do, that is what we will see reflected. That is an image which will change and transform us as we submit to the process. It does not happen in an instant: we have to keep looking. If it happened in an instant, we would start looking somewhere else and become conformed to the image of that ‘somewhere else’ instead. The ongoing process is integral to our continuing relationship with and representation of God. For God, who said, “Light shall shine out of darkness”, is the One who has shone in our hearts to give the Light of the knowledge of the glory of God in the face of Christ (2 Cor 4:6). When anyone turns to God, a veil is lifted from their hearts; light comes and they are enabled to behold the glory of God in the very face of Jesus Christ. In believers who continue to look into that glory a transformation takes place, by which we are continually changed into the same image (God’s original intent), from glory to glory, by the Spirit of the Lord. 1. Metanoia is the Greek word normally translated as repentance in our English Bibles. The original word has nothing to do with feeling regret or saying sorry, but is about turning around and thinking differently so that we are of the same mind as God about something. Sorry! This event is now sold out but you can still click the link to join the waiting list (in case of cancellations) or look out for the recordings! Let’s celebrate God! He lavished every blessing heaven has upon us in Christ! He associated us in Christ before the fall of the world! Jesus is God’s mind made up about us! He always knew in his love that he would present us again face-to-face before him in blameless innocence. God found us in Christ before he lost us in Adam! (Eph 1:3-4 Mirror Bible). God lavished His blessing upon mankind, from the very beginning, to empower us to fulfil the plans he has always had for us. He had a plan, before ever things went wrong, to ensure that His original intention would be fulfilled. He always knew that we would appear before Him righteous – in what Francois Du Toit calls ‘face-to-face blameless innocence’. To be ‘blamelessly innocent’ it must be as if we never did anything wrong. Is that how we think of ourselves? 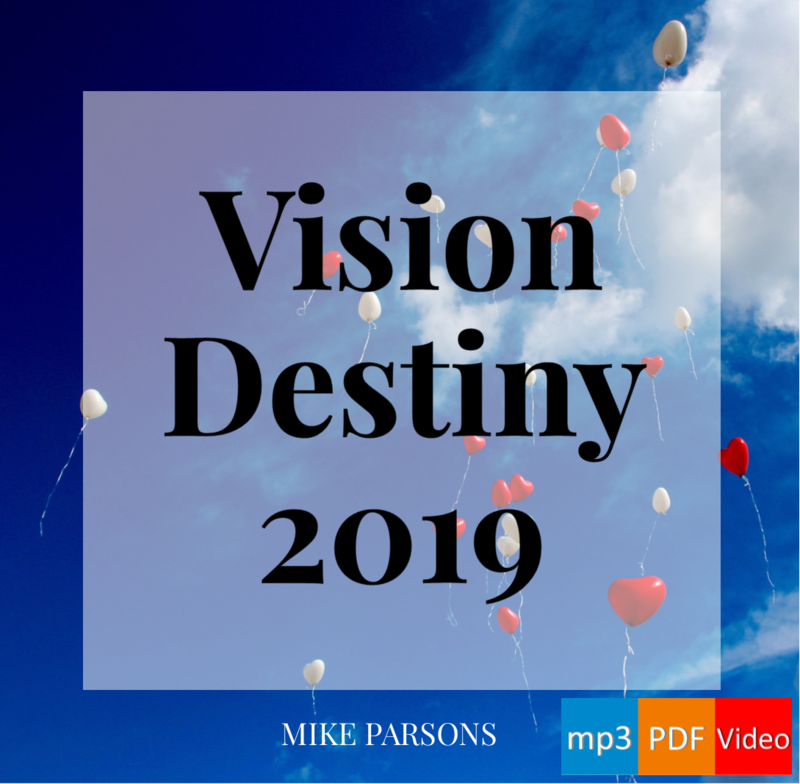 Or are we still thinking of ourselves from the perspective of the history of our life, all the things we may have done in our life that we are ashamed of, all the things that were not quite aligned with what God wanted us to do? He does not look at it like that! He found us in Christ before He ever lost us in Adam. I love that thought. Already, God was looking to restore everything, even before we messed it up. He has already made a plan for us to be face to face before Him, blamelessly innocent. He is the architect of our design; his heart dream realized our coming of age in Christ. His grace-plan is to be celebrated: he greatly endeared us and highly favoured us in Christ. His love for his Son is his love for us (Eph 1:5-6 Mirror Bible). If there is going to be a restoration, and He is the original architect, then surely that restoration will be in accordance with His original design. He had a dream in His heart, and He is going to bring that dream to fruition. This is cause for celebration! And it is grace, His divine enabling power, which causes that to come about. The secret is out! His cherished love dream now unfolds in front of our very eyes. In the economy of the fullness of time, everything culminates in Christ. All that is in heaven and all that is on earth is reconciled in him… This is how we fit into God’s picture… (Eph 1:9,11 Mirror Bible). Restoration is unfolding before us. 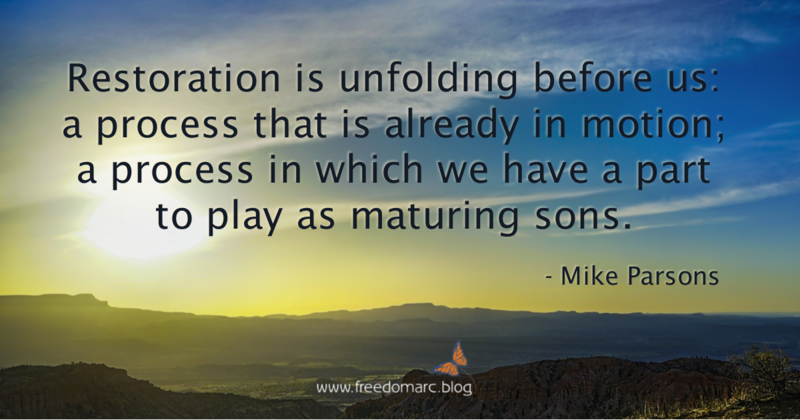 It is not just an event that will happen some time in the future, but a process that is already in motion; a process in which we have a part to play as maturing sons. There is an element of past, present and future in all of this. If everything on earth and everything in heaven is reconciled, and reconciliation is restoration of relationship, and we are ministers of reconciliation, then can we begin to see how we fit into this picture? “Therefore repent and return, so that the sins may be wiped away, in order that times of refreshing may come from the presence of the Lord; and that He may send Jesus, the Christ appointed for you…” (Acts 3:19-20). In reality, he is already talking about restoration. Repentance, we know, has nothing to do with being sorry enough about something to cause God to respond, but everything to do with getting God’s perspective on our situation and agreeing with how He thinks about us. And we have seen what God’s perspective is: blameless innocence. Returning has to do with coming back to our original identity and purpose. The sin is the loss of that identity, our losing sight of the original image of God within us, a loss which has caused us to act in ways which have damaged both ourselves and others. Our whole fallen identity has been blotted out and wiped away; every accusation against us nailed to the cross. He breathed on them and said to them, “Receive the Holy Spirit” (John 20:22). Jesus breathed on them; this was a face to face encounter in which the refreshing breath of God was imparted to the disciples after his resurrection. Continually refreshed in His presence, we will never need to try to draw from another source. More than that, as Bill Johnson has remarked, “Whenever God restores something, He restores it to a place greater than it was before.”(2) Restoring our status as living beings is only the precursor to our being able to mature into the godlike beings which, as sons of God, He always intended us to be. He does not seek to restore us only to what we were on earth, but to what we were in the heart of God; in the ‘what was’, outside of time and space. …and the God of the peace Himself sanctify you wholly, and may your whole spirit, and soul, and body, be preserved unblameably in the presence of our Lord Jesus Christ (1 Thess 5:23 YLT). Young’s Literal Translation has it right. Most translations say ‘at the coming’ of our Lord Jesus Christ, but that Greek word ‘parousia‘ is really rooted in ‘presence’. If you are only looking to be sanctified and without blame sometime in the future when Jesus returns, then you will likely miss out on the potential of it happening now. But if you see it as the ‘presence’ of the Lord which brings refreshing as He breathes into us and restores us on a moment-by-moment, breath-by-breath basis, then you can enjoy that as a present experience, here and now. Because …you were washed, but you were sanctified, but you were justified in the name of the Lord Jesus Christ and in the Spirit of our God (1 Cor 6:11, emphasis mine). Therefore repent and return, so that the sins may be wiped away, in order that times of refreshing may come from the presence of the Lord; and that He may send Jesus, the Christ appointed for you, whom heaven must receive until the period of restoration of all things about which God spoke by the mouth of His holy prophets from ancient time (Acts 3:19-21). As sons of God we can have and enjoy relationship with the Father, Son and Holy Spirit, and within that relationship we soon discover that we also have responsibility. At the very least, we have responsibility for our own lives and the spheres of influence He has given each one of us already, but as we mature we are called to step into further positions of responsibility: to take our heavenly positions, seated and enthroned, to legislate the kingdom in heaven; to manifest heaven on earth. And ‘heaven on earth’ is nothing less than the fulfilment of God’s original intent and purpose for everyone and everything He has created. In this blog series we are embarking on a journey to unpack the meaning of ‘the restoration of all things’. We will look closely at what ‘restoration’ means, what ‘all’ means and what the ‘things’ are. We are going to look at the scope of that process of restoration and see that, as sons of God, we have a part to play in it. Justin Paul Abraham says “I believe we are going to see Love overcome the greatest darkness and a new era of Light birthed across the Earth. The end result: there will be no war, no sickness and a restored world. How can we know this? The future is already agreed and when it comes it will change quickly. ‘I, the Lord, will hasten it in its time.’” (Isaiah 60.22). The future is already agreed within the heart of God. He has not changed His original intent just because we may have gone off track. The context for this restoration is found in our position as sons. If we are not restored, then neither will the rest of creation be restored. The restoration of all things begins with Jesus working in us now, and not in a future event of his coming sometime in the future. 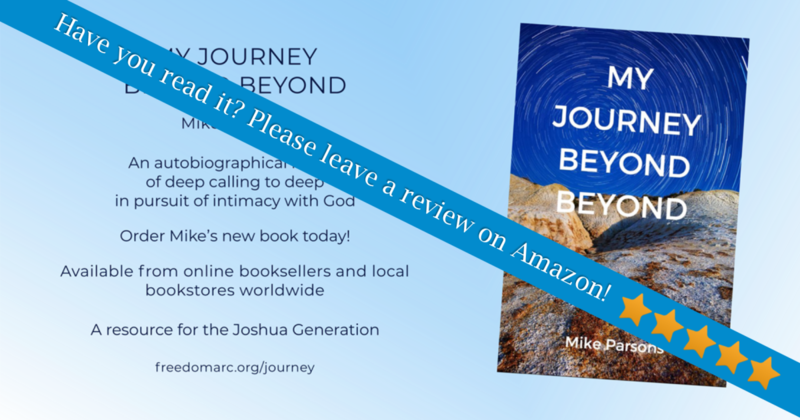 So much of religion has put everything off until some future day, with the result that past generations have missed out on what God intended for them – and present and future generations are at risk of doing the same. Let’s recognise that restoration is taking place in us, through us and around us as we embrace our sonship. For all who are being led by the Spirit of God, these are sons of God. The Spirit Himself testifies with our spirit that we are children of God, and if children, heirs also, heirs of God and fellow heirs with Christ, if indeed we suffer with Him so that we may also be glorified with Him. (Rom 8:14-17 NASB). The original life of the Father revealed in his son is the life the Spirit now conducts within us. Slavery is such a poor substitute for sonship! They are opposites; the one leads forcefully through fear while sonship responds fondly to Abba Father. His Spirit resonates within our spirit to confirm the fact that we originate in God. Because we are his offspring, we qualify to be heirs; God himself is our portion, we co-inherit with Christ. Since we were represented and included in his suffering we equally participate in the glory of his resurrection (Rom 8:14-17 Mirror Bible). In those verses you can see Father, Son and Holy Spirit all involved in relationship with us and helping us to see both who we truly are and the potential that exists in us to influence and govern because of who we truly are. So much of what we have done up to now has been to prove who we are (or to compensate for who we think we are). This is different: it is doing things because of who we really are: co-heirs together with Jesus. He has done everything necessary for us to be restored to sonship: will we believe it? God sees us the way He made us. We do need transformation by the renewing of our minds, but it is to enable us to agree with and believe what God already believes about us and what He has already done for us. Religion has put the emphasis on God doing everything because He is sovereign and it has given no consideration to the fact that He has made us co-heirs. The truth is, we are sons of God, called and chosen to be participators and not just bystanders and observers in this process of restoration. It is not that we are getting delusions of grandeur and suddenly deciding we want to be like God: this is what He intended all along. God blessed them; and God said to them, “Be fruitful and multiply, and fill the earth, and subdue it; and rule over the fish of the sea and over the birds of the sky and over every living thing that moves on the earth.” (Gen 1:28). 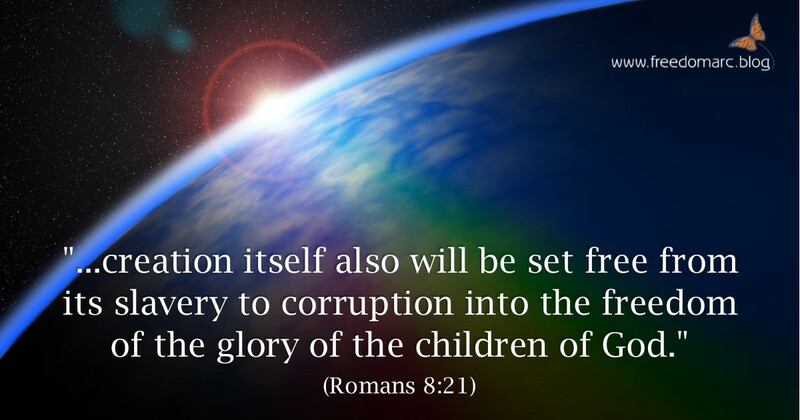 For the anxious longing of the creation waits eagerly for the revealing of the sons of God… that the creation itself also will be set free from its slavery to corruption into the freedom of the glory of the children of God (Rom 8:19, 21). Whatever God’s intended for mankind, this planet was just the beginning of it. The restoration of all things goes beyond the earth to include all of creation. Consider the implications of that! This whole topic is going to challenge and stretch our mindsets and our belief systems. As we begin to grasp the truth, it will shake us free from the limitations and restrictions put on us in the past and release us into the fullness of God’s original intent and purpose. Revelation of that truth will only come through relationship, through becoming ‘intimately acquainted with the love of Christ on the deepest possible level’ as the Mirror Bible says in Eph 3:16. You cannot take my word for any of this; you need revelation, not information. So take a few moments now, if you can (if not, do come back later). Look into the eyes of the Prince of Peace. Allow the deep pool that is the way, the truth and the life to draw you in. Ask Him to reveal your name, your identity and your position as a son of God. Ask Jesus to take you beyond where you have ever been before. Let Him reveal your origin within the heart of God. Let the Father reveal the vast sum of His thoughts about you. Let the truth of God’s original intentions for you begin to restore your identity as a son. Put no limitations on what God can do or wants to do for you. Face to face, allow Him to breathe into you. Allow Him to refresh you, to breathe life into you, to restore you. Soundtrack: Restoration Through Harmony – SML Music (Samuel Lane) via SoundCloud. 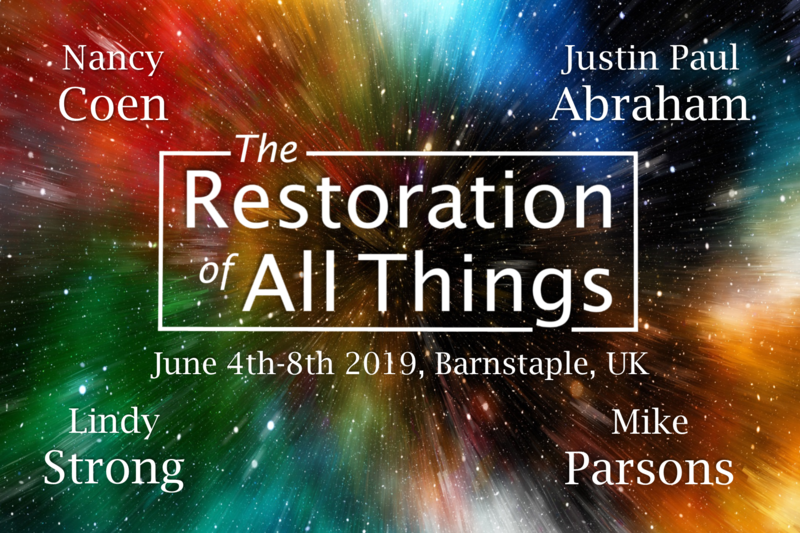 Join Mike and his guests Nancy Coen, Justin Paul Abraham and Lindy Strong for an intensive here in Barnstaple UK in June 2019.